As a company that’s been around for 100 years, Citizen Watches has improved their line to perfection. Built on a passion of becoming a citizen of the world, this brand includes their multicultural outlook in all of their pieces. A worldwide leader, Citizen is home of the world’s slimmest LCD watch, the first voice recognition watch, and the first professional diving watch equipped with an electronic depth sensor. This is a company with a good heart—a testament to that being that they advocate the “Better Starts Now” movement. If you’re in need of a high-quality wristwatch, look no farther then Citizen. In the Eco-Drive line, Citizen has created a collection of men’s watches that brings masculinity and practicality together with ease. For over 40 years, the company has been using their Eco-Drive technology to eliminate waste from used up batteries. Conscious of the planet’s health, the brand has designed a technology that will take the power of light, either natural or artificial, and convert it into energy. These timepieces can be detailed or simple, some featuring atomic timekeeping, Bluetooth capabilities, or a calendar. These watches are distinguished and use a renewable, natural resource to power themselves. Fueled by Eco-Drive technology, the watches in Citizen’s L Sunrise collection convert light into energy, staying stylish and functional at the same time. The Mother of Pearl face gives way to a subtle graduation of color, shimmering under the light. Sprinkled across the face of the watch are diamonds, glittering like the stars in the night sky. For a classy and feminine touch, these watches have a stainless steel body. With all of that combined, these women’s watches are elegant and refined. 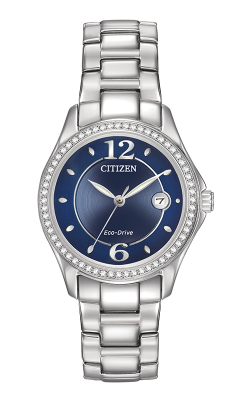 For a woman of grace, you’ll find that a Citizen watch in this collection will suit your personality well. Why Shop for Citizen Watches at Albert’s Diamond Jewelers? Albert’s Diamond Jewelers is home to a stunning showroom of fine jewelry and watches. If you are in need of a jewelry repair or a custom design piece, we’ve got you covered. Established in 1905 and taken over by the Halpern family in 1960, we believe in treating customers like family. Based in Indiana, we’re conveniently located near Griffith, Lansing, and Willowbrook. Stop by for a tour of our showroom and excellent customer service. 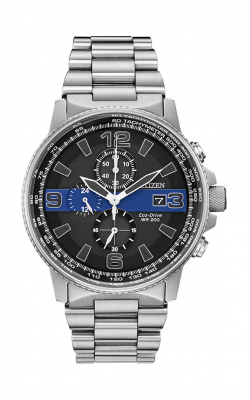 Are you interested in a Citizen watch? Please visit custom Albertsjewelers.com, or call (219)-322-2700 for more information.